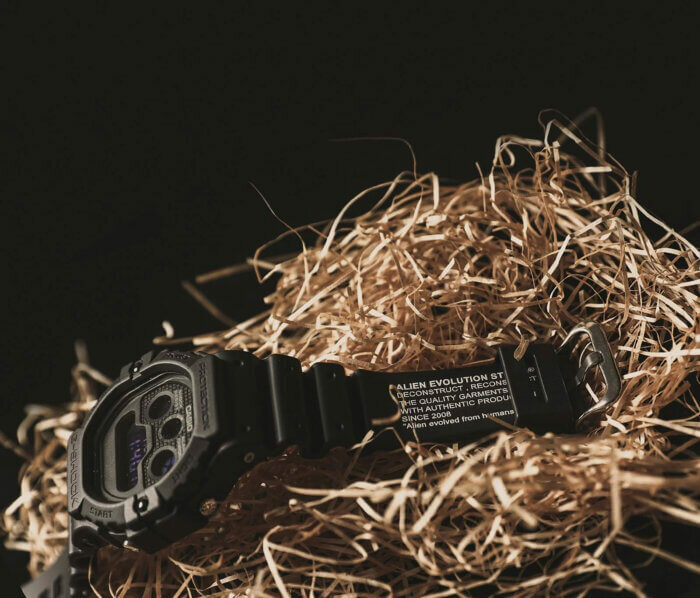 Taiwanese streetwear brand Alien Evolution Studio is celebrating its 10th anniversary with the release of the G-Shock DW-5900BBAES-1DR. 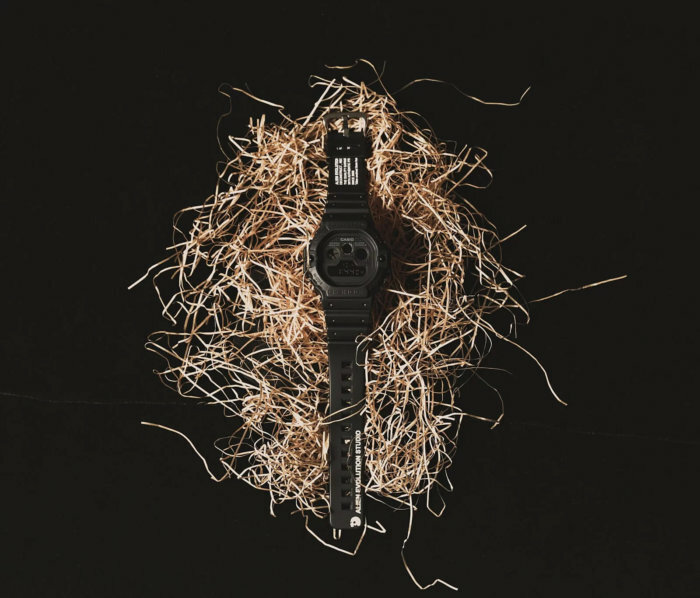 A revived model from 1993, this retro-style digital watch features a blacked-out design with AES design elements including the brand ethos in white text and the skull logo printed on the bands and case back. 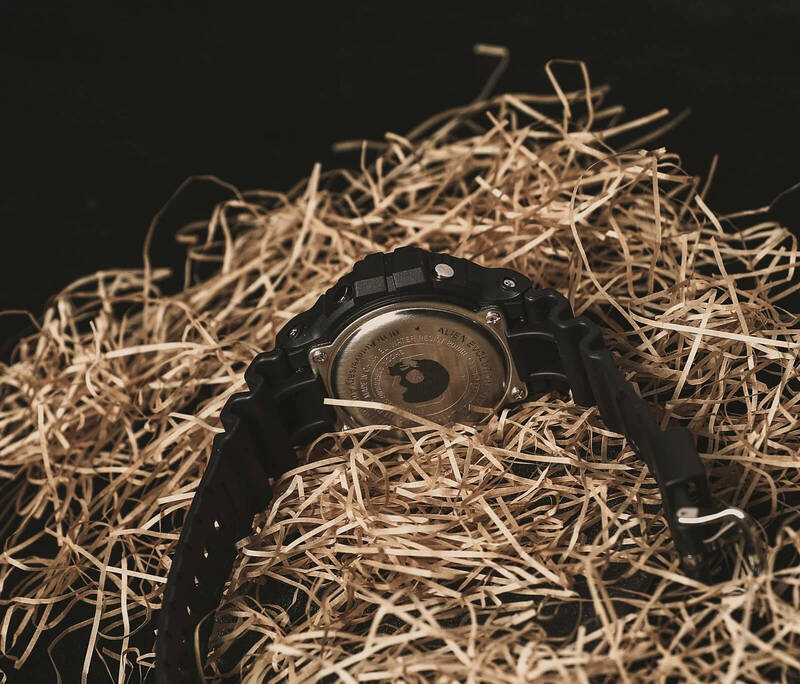 The watch is presented in a deluxe wooden box with a black lacquer treatment and the AES logo etched into the top. The G-Shock DW-5900BBAES-1DR will be available on 8 February 2019 at the G-Shock store in Taipei, the AES flagship store in Taipei, and alienevolutionstudio.com for $4,500 TWD. 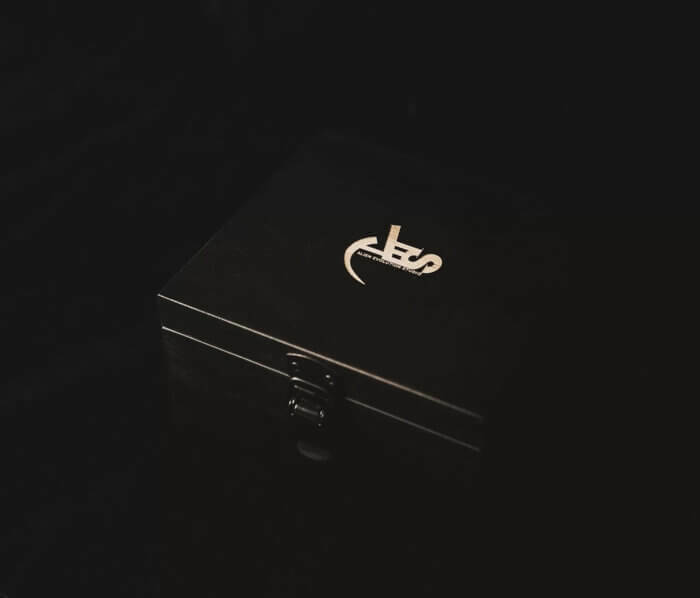 For more information visit alienevolutionstudio.com.